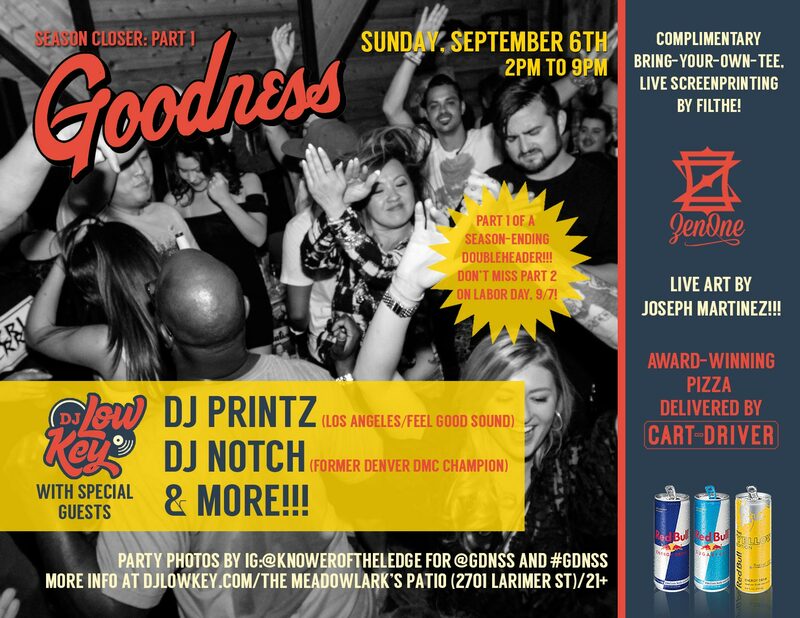 Sunday, 9/6 at 2pm -> Goodness Season Closer: Part 1 w/DJ Low Key, DJ Printz (LA/Feel Good Sound), DJ Notch (former Denver DMC Champ) & more! Complimentary “bring your own shirt” live screenprinting by Filthe, live art from Joseph Martinez, pizza delivery by Cart-Driver & more for the Summer’s last Sunday on The Meadowlark’s magical patio!!! 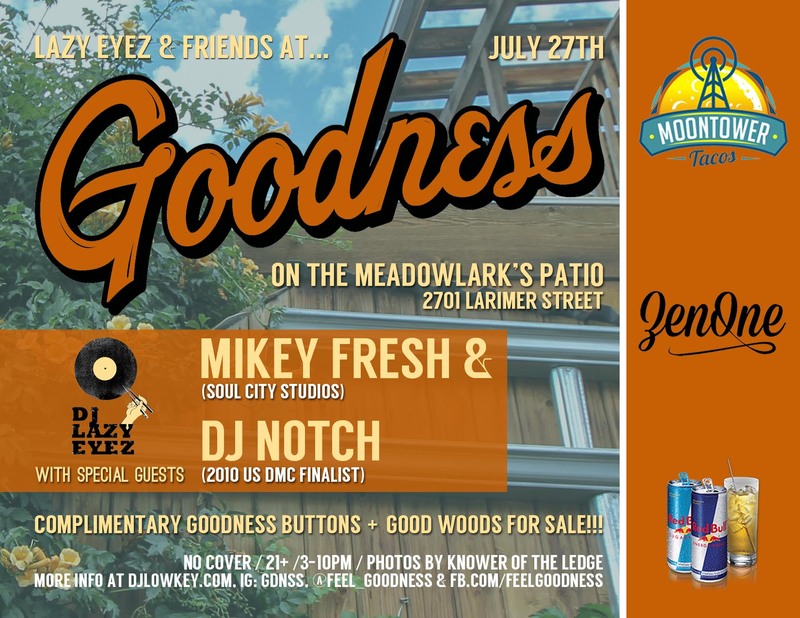 Sunday, 7/27 at 3pm -> Goodness w/DJ Lazy Eyez & friends featuring Mikey Fresh & DJ Notch on The Meadowlark’s patio! Moontower Tacos, complimentary Goodness buttons, Good Woods for sale, photos by Knower Of The Ledge & more!! !